Schedule Instagram posts automatically? Auto-post? Is it allowed? Hello Instagram lovers! 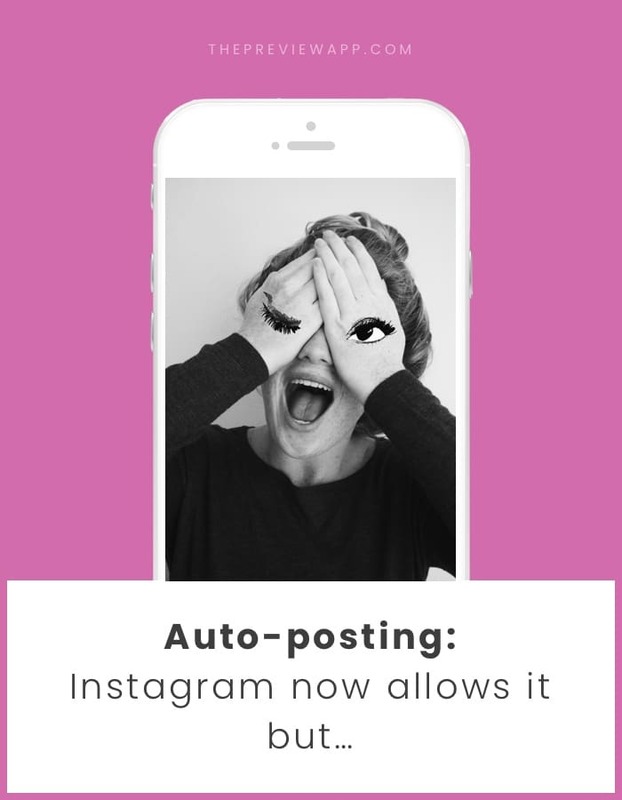 Today Instagram announced that they will be allowing auto-scheduling. But wait!!! There’s a catch. Let me tell you everything you need to know. Let me quickly explain to you what’s going on. Instagram has just released a new API (= a new system / new Policy). This new API is called the “Business API”. Companies can now use this “Business API” to build apps that auto-post for Instagram Business accounts. If you didn’t know, Instagram did not allow auto-posting before. It was against their Policy and could get your account banned, blocked or penalized. Now, their new system allows companies to build auto-scheduling apps – only if they use the Instagram “Business API”. Please beware of companies that offer tools that auto-schedule for you but don’t use this API. They are still breaking the rules. Note: We will add the auto-scheduling feature in Preview app. What if you don’t have a business profile… or don’t want to switch to a business profile? If you don’t have a business profile or don’t want to switch to a business profile: don’t worry. You won’t be affected by this change. However if you want to schedule your posts automatically, then you have to switch to a business profile. So what do you think about this new Instagram update? Do you like it? Let me know your thoughts in the comments.